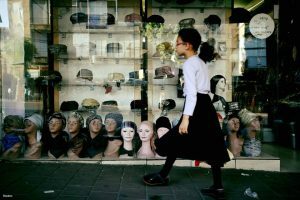 One day thirty years ago, when I lived in Bnei Brak, I was walking down the street with my wife. On the way we saw a little girl standing alone, helpless at a traffic light. This example has been etched in my memory ever since. The basic understanding that if we begin to treat each other well, all of us will only gain. So why doesn’t it happen? The narrow ego of each and every one of us does not allow us to take a step toward the other. I can’t smile to my neighbor; I can’t be patient to the driver next to me on the road, I can’t take care of another child as if it were my own. And yet, despite the ego, we can forge an environment with different values. We can reach a social consensus that we should treat each other well, because this is the only way we can coexist and raise our children in a more pleasant and safe atmosphere. Then, we will feel far more relaxed when our children go outside, the roads will be more peaceful, and we will cease to feel that our lives are like a battlefield. It is possible and it depends on us. Let’s create a warmer atmosphere between us. After all, we are not animals, we are human beings.